Having gone a bit synth crazy on the blog today, I'm sure one more won't harm, especially when it's of this calibre. Already big fans of Haerts and Avec Sans, to get them both on one track is pretty special to say the least. 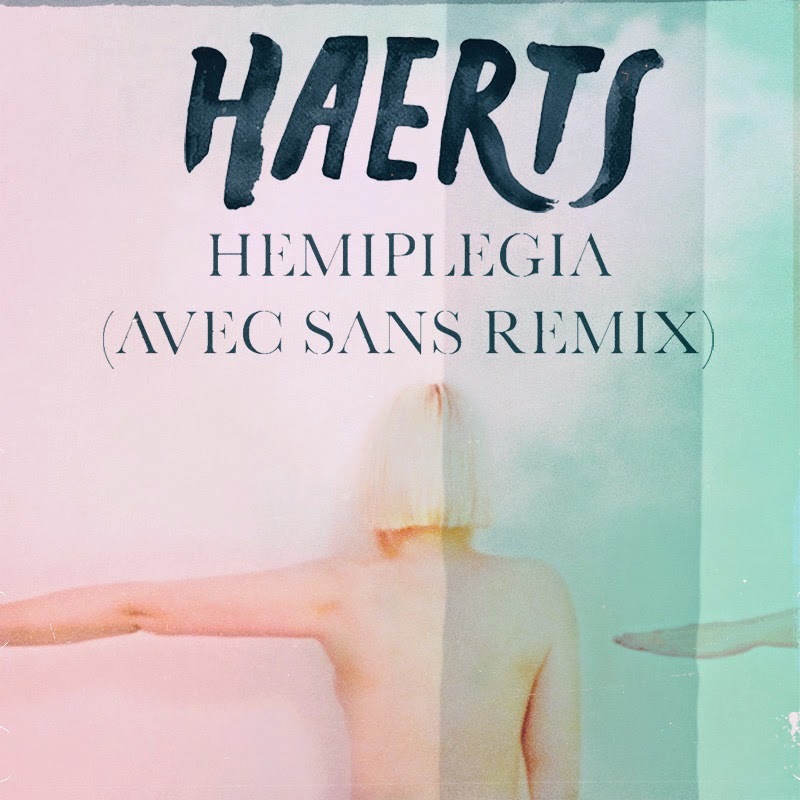 Producing something that's nothing short of expectations the London based electro pop duo re-work Haerts' Hemiplegia in the most wonderful of ways.With lashings of summer through sunkissed melodies and high energy basslines the track breathes a new life as it sheds its more sombre tones to maximum effect. You can download it for free from Facebook here.